The below artworks are the most important by M.C. Escher - that both overview the major creative periods, and highlight the greatest achievements by the artist. Artwork description & Analysis: This image is part of the body of work that Escher produced in Italy from 1923 to 1935. In these he explored depictions of the landscapes, towns, and buildings that he encountered on his extensive travels around the country. Like many of his Italian works, this is a detailed and accurate portrayal but despite the image's realism it maintains an air of fantasy. This drama is heightened by the overall darkness of the image and the strong contrast between these tones and the paler highlights. Castrovalva also demonstrates Escher's early interest in spatial relationships and his attempts to capture three-dimensionality on paper. The work encompasses a wide field of vision from high to low and near to far and this gives the piece multiple points of focus from the carefully rendered plants in the foreground to the sheer sides of the buildings to the distant mountains silhouetted at the end of the valley. Whilst Castrovalva is approached with realism Escher also created images in this period which were more fantastical such as The Bridge (1930) which incorporates realistic architectural elements into an imaginary framework. Artwork description & Analysis: One of the last paintings from his Italian period, this lithograph depicts Escher sitting in his studio in Rome, reflected in a mirrored sphere which is held in one of his hands. Light from the window at the far end of the room highlights the furniture behind Escher and casts a shadow across his face creating depth within the portrait. Some of his other works can be seen framed on the walls of the studio. The work is representative of his increasing fascination with visual illusions, mirrored reflections, and perceptual self-references. The plain background of the work focuses attention onto the reflection but also causes the viewer to question the accuracy of the depiction, the hand and sphere appear to exist in a void in which only the reflection is real. This enigma is further enhanced by the fact that Escher gazes directly out of the picture instead of representing himself drawing the image. The fact that his face appears directly in the center of the sphere indicates his mastery over the illusion. This self-portrait forms part of a much older practice of artists painting themselves reflected in convex surfaces with key examples including Self Portrait in a Convex Mirror (1524) by Parmigianino and Caravaggio's Medusa (1597). In his work Escher is both acknowledging this tradition through his detailed study of his own reflection and subverting it through the depiction of the mechanics of its creation. The birds form part of a wider canon of Escher's work in which animals are either tessellated across the whole image (Escher called this 'regular division of the plane') or one animal becomes another through the use of interlocking designs and negative space. Examples of the former include Lizard (1942) and Regular Division of the Plane (1938); the latter, Sky and Water I (1938). These works were originally motivated by Escher's second visit to the Alhambra, a building which he considered to be "the richest source of inspiration that I have ever tapped". He initially created work utilizing the abstract geometrical elements he saw there, but gradually replaced these with stylized figures of animals, as seen here. The work can be viewed from two perspectives and the eye naturally moves between the two. The bird's eye view, looking down on the landscape below, contrasts with the direct perspective where the birds are viewed straight on. The two perspectives are linked by the diagonal lines on the fields and on the birds' wings and these give a sense of movement upwards and in the direction of travel of the birds, removing the distinction between foreground and background. Artwork description & Analysis: Portraying an interior space consisting of multiple staircases leading in many directions and opening up to different, light-filled exterior spaces, Relativity is part of Escher's 'impossible constructions' series. Of these works Escher stated, "I can't keep from fooling around with irrefutable certainties" and to 'make fun of gravity'. The piece can be viewed from numerous perspectives and from each of these the localized architectural environment makes sense. By allowing the orientation of the viewer to shift depending on which viewpoint is followed, the scenes are open to a continuous cycle of interpretation. The confusing nature of the composition is further enhanced by the strong contrasts of light and dark and the inclusion of faceless mannequin-like figures who continue to carry out normal tasks in the abnormal setting around them. These figures may be interpreted, from a philosophical standpoint, as co-inhabiting different planes of existence and the piece calls into questions the nature of reality. Artwork description & Analysis: Ascending and Descending is one of Escher's most recognizable pieces and another example from his 'impossible constructions' series. The work draws inspiration from projective and non-Euclidean geometries and paradoxical perspectives to create a physical architectural impossibility that explores the very logic of space itself. As in Relativity, stairs are the focus and the never-ending staircase at the top of the image was conceived by Roger Penrose. Penrose was a mathematician who invented the Penrose triangle, an impossible object, after seeing Escher's work. Along with his father, Lionel Penrose, they designed a staircase based on the triangle which simultaneously looped up and down. This was sent to Escher who created Ascending and Descending as a response. The piece can be viewed as a comment on existence, the stairs which lead nowhere becoming a metaphor for the futility of life. This is further emphasized by two figures who are not on the eternal staircase, one looks up, with detachment, from a side balcony whilst the other sits unhappily on a lower flight of stairs. Escher commented on these figures calling them "recalcitrant individuals [who] refuse, for the time being, to take part in the exercise of treading the stairs. They have no use for it at all, but no doubt, sooner or later they will be brought to see the error of their non-conformity". The clothing of the figures further enhances the mystery of the work, giving it a cult-like feel with the hoods echoing those of monks. The short-belted tunics are Medieval in style and can be seen as a reference to the work of Hieronymus Bosch which Escher consciously alluded to in other pieces such as Belvedere (1958). Artwork description & Analysis: Snakes was created three years before Escher's death when he was already suffering from poor health, and it is the last print he made. The work has a rotational symmetry of order three, meaning that the same image has been replicated three times around the circle to build the finished piece. It was also created from three different printing blocks, one for each color which were over-printed to generate the subtle shading and multi-colored appearance. In the image snakes writhe in and around a circle composed of interlocking rings that seem to both extend outwards and simultaneously shrink infinitely inwards. The rings diminish again, as they reach the edge of the circle, while the snakes face outwards, suggesting that something exists beyond the central image. The design is incredibly intricate and required an immense amount of draftsmanship and skill to complete the very precise nature of the woodcut. 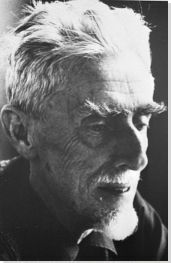 Escher increasingly interrogated the idea of infinity in his work and other examples include Smaller and Smaller (1956) and his Circle Limit series. These express a growing concern with the dimensionality of space, in Escher's words, an exploration of "the language of matter, space and the universe". This interest in the infinite may be viewed in terms of his increasingly apparent mortality and this is enhanced by the inclusion of the snakes in the work, which in mythology can swallow their tail to regenerate from their own essence.